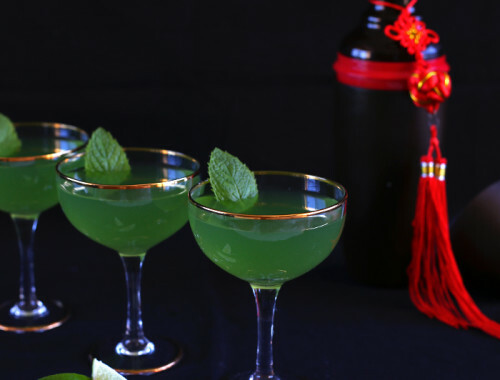 St Patrick’s Day is on Sunday and it’s always a good excuse to add booze to desserts! 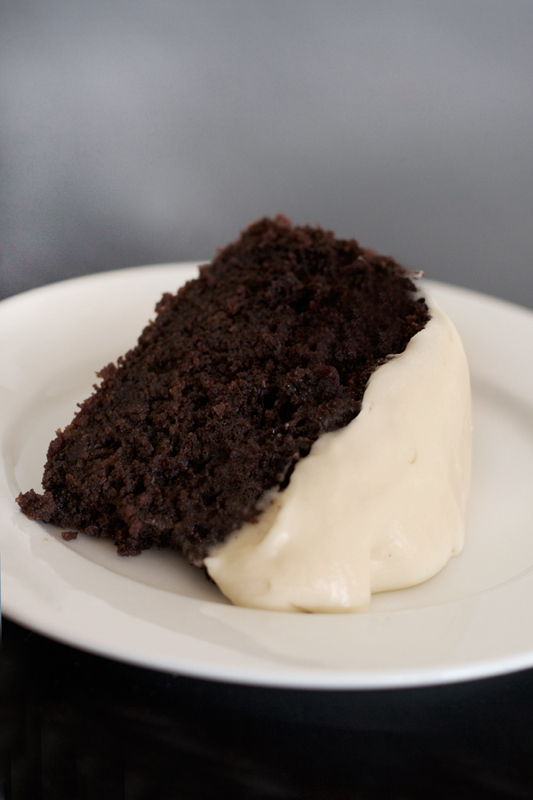 I added Guinness beer to the batter of the dark chocolate cake, giving it a rich and slightly bitter depth which contrasted beautifully with the sweet Baileys cream cheese icing. This is possible one of my favourite chocolate cakes to make now, moist and dense but not too heavy. 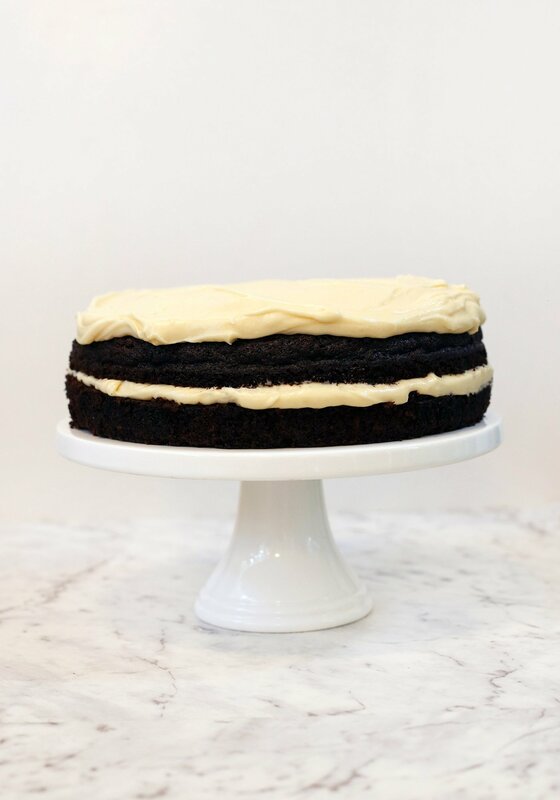 If you’re after a more decadent version of this cake, the recipe for my Guinness Layer Cake with Whiskey Ganache and Baileys Icing is now available! 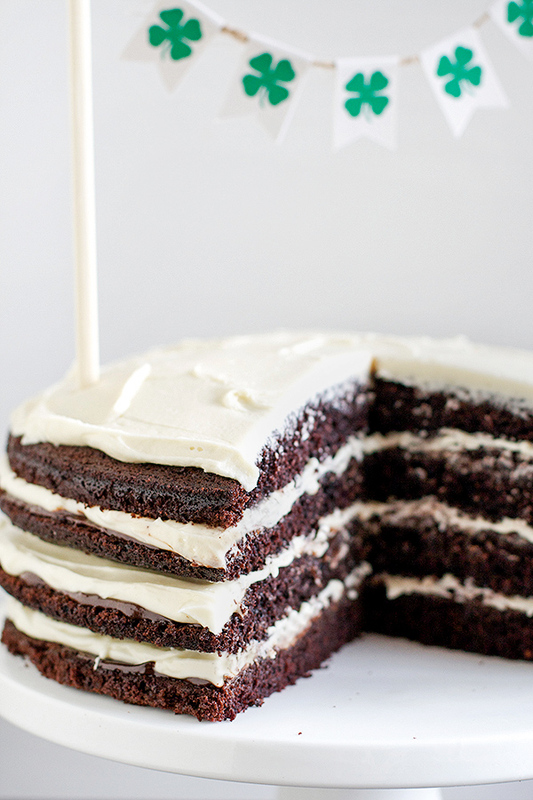 It involves layers of dark and moist Guinness chocolate cake, dark chocolate whiskey ganache and Baileys cream cheese icing and is the ultimate boozy chocolate lover’s dream. This recipe can also be adapted into donut form! 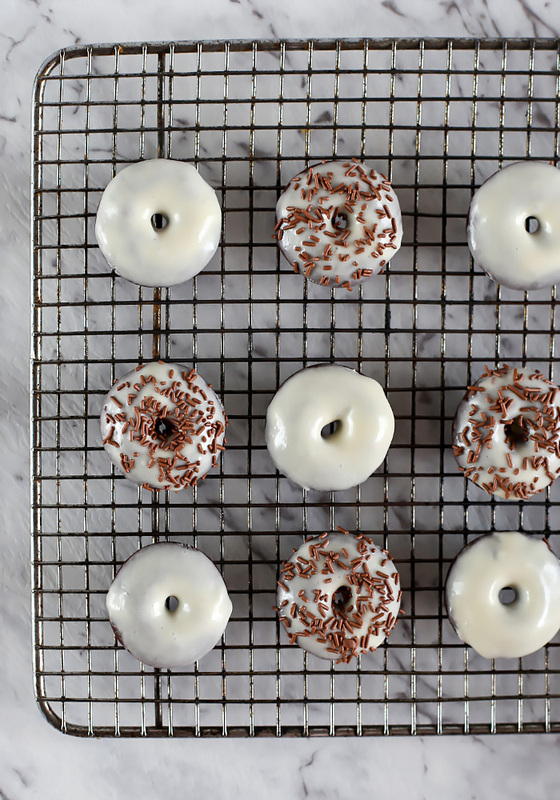 These Dark Chocolate Stout Donuts are baked in the oven and come out rich and chocolatey. They are then smothered in a Baileys Irish Cream glaze for the perfect festive treat. The secret ingredient to this decadent chocolate cake is Guinness beer - making it the perfect way to celebrate St Patrick's Day! Preheat oven 180°C/350°F and butter and line a 23cm (9") springform tin. Melt the butter into the Guinness in a saucepan over low heat. Whisk in the cocoa and sugar and take the saucepan off the heat. Beat the sour cream with the eggs and vanilla in a separate bowl until combined, than add to the beer mixture. Whisk in the flour and bicarb until combined. Pour the cake batter into the tin and bake for an hour. The middle of the cake may still be slightly wet when you take the cake out, but it will firm up as it cools down. Leave to cool completely in the tin as it is quite a damp cake and could collapse. Cream the butter and icing sugar together until well mixed. Add the cream cheese in cubes slowly until incorporated. Add in Baileys. Continue mixing for 5 minutes until the icing is light and fluffy. 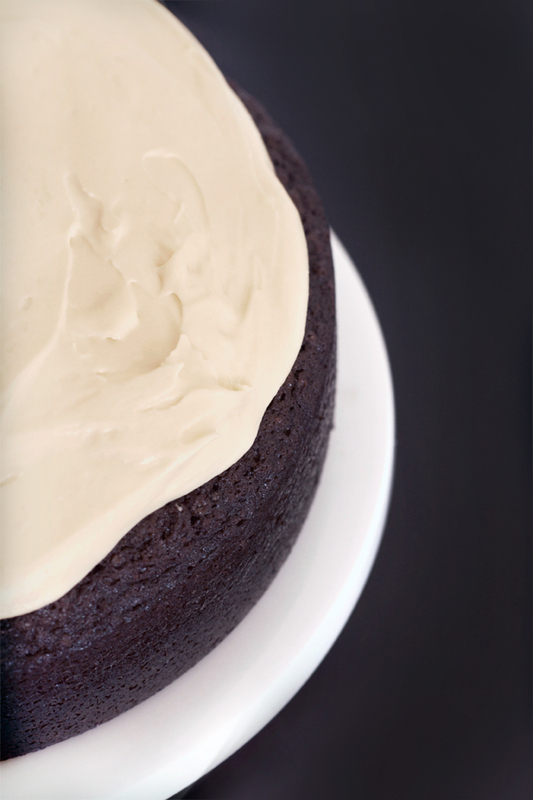 Dollop lashings of the icing onto the top of the cake to recreate the froth on a glass of Guinness. If you are feeling particularly dexterous, slice the cake length-wise and fill the cake with the icing too (there will be definitely be enough icing). As I am from Australia, I use grams and cups when baking and cook in degrees Celsius. Thank you for all your emails and comments, I have tried to reply to all of them. Please note I have gone through the recipe and updated with the cup measurement in brackets to help! Gorgeous looking cake Swah and such great photos too! Happy St Patrick’s Day!! Thanks Brini, I need to start offering conversions on my site I think! That’s a definite! Half have metric and american measurements. I, for one, need the american version or not at all. It certainly sounds delicious! Hi Carol, I have gone back through the recipe and listed American measurement-friendly options for each ingredient too, hope that helps! What is caster sugar and bicarbonate of soda? US bakers: Please do not confuse castor sugar with confectioners’ sugar. The cake will not turn out right if confectioners’ sugar is used. Castor sugar is what we yanks call Superfine sugar, and it’s most often found commercially in containers the same size and shape as milk cartons. I can be made using granulated sugar and running it through your blender or food processer for a very short period of time. If you run it too long, you will get confectioner’s sugar. Swah, the one suggestion that I have for you is to use Vanilla Castor’s Sugar. You take a vanilla bean or two, add it to the sugar container, cover it and leave it for a period of time, shaking the container every few days. Within a month or two, you will have vanilla sugar, where the oils from the bean saturate the sugar. Then omit the vanilla extract from the recipe. The extract itself can leave a slight aftertaste to the cake that is eliminated with the use of vanilla sugar. I’ve made an Irish Stout Cake recipe very similar to this with the vanilla sugar being the only change to the cake itself. I use a bittersweet chocolate ganache for the icing, and Americans have accused me of “bringing a Howitzer to a knife fight” when I bring my cakes to potluck. BTW, the idiom is normally “bringing a gun to a knife fight,” but this cake recipe was THAT far above all the rest of theirs, in THEIR opinions. BTW, you can also use Vanilla Icing Sugar as a substitute for the extract in other recipes. “Bakers Sugar” is superfine sugar available in Safeway stores and King Soopers, It is in a pale tan milk carton. The nice thing is it measures just like table sugar. I adore baking with it. Run regular sugar through a blender. When it gets very fine you have caster Sugar. I use it all the time. I put it through the coffee grinder. That works too. In many parts of North America (Canada, for sure), caster sugar is known as berry sugar. What size pan do you use for this? I do not have a springform pan; is there another type of cake pan that I could use, instead? Looks great SWAH but could you please pick a measurement type and stick with it? 1 Tbsp of this and 140 ml of that…. are you trying to be confusing?? Hi measurement dude, not trying to be confusing! 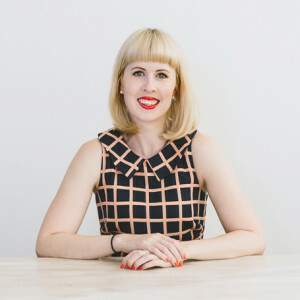 I am Australian and I often measure larger quantities of liquid ingredients in mls and smaller quantities, such as vanilla, in tablespoons. However, I have gone through the recipe and have now provided 2 measurement options for each ingredient. I hope this helps! I can not wait to try this!!! Thank you very much! I look forward to taking a peek at your blog and recipes. 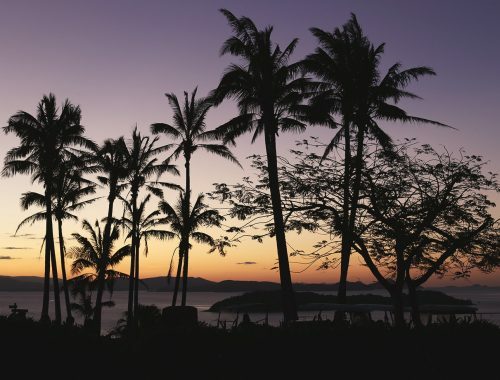 I would also adore a visit to Australia, my company products (Arbonne Int.) is in Australia. Hi Swah. The measuremnt conversions seem to be incorrect. For example, 250 g = 1 cup, not 2 and 500-600 g = about 2 cups not 4 to 5. I think the misunderstanding here by Annie-girl is that 250 millilitres is a cup, not 250 grams. Millilitres is a volume, as is cups, so they can be changed back and forth easily. However, grams is a weight which means the volume totally depends on the substance. Ex. There is a lot less volume to 250 grams of butter than 250 grams of flour. As long as the Americans also realise that our (Aussie) tablespoons and cups are a different size to theirs…. We seem to manage fine when converting US recipes to Aussie measurements. Measurements of ml and gm are so much easier to cook with as they’re the same the world over. This looks gorgeous Swah, can’t wait to have time to try making it. Yes! I wish we would all use mL and grams… problem here in the US is that it’s hard to find tools to measure things out using metric! Cups are often NOT labels with mL and the items sold by grams for you (such as butter), are nearly impossible to convert for us since those same items are split into TB with no indication of how much of something would be equal to X number of grams. For e.g., butter is sold in 1/2 cup sticks. The wrapper is marked by TBs. One package of butter is typically 4 sticks, weighing a total of 1 pound, so 454 g for the whole package. Split that number into 4 (for each stick), then 8 (for each TB), and it just becomes a mess. I love it when I was in Europe and everything was in neat 100g increments. Made life SO much easier. Our food packaging here in the US just doesn’t allow for easy conversion TO metric unfortunately. Looks wonderful, do have a carb count, for diabetics like me. But given that this has a lot of sugar / flour its probably VERY high in carbs (not to mention the beer)! Yes I can imagine this recipe is quite high in carbs! Please let me know how you go with the Swerve and coconut flour. I hope it works well! I just got done making this, and it turned out great. I only changed one thing, and that was split the 2tsp of baking soda by using 1tsp baking soda and 1tsp baking powder. I did this mainly because I don’t like the metallic flavor that to much baling soda can give. Oh yum, that looks so decadently good!! It’s definitely one of my favourite chocolate cakes now Tara! Now I want to try making it in mason jars! Huh?? Like actually baking it in jars? I’ve never heard of doing this. In reading to find out myself what ‘caster sugar’ is, I came across the information you can use regular granulated sugar to make caster sugar. Use measure-for-measure amounts and run it through a food processor on high for about 3 minutes. Yes, that’s what I do because even superfine sugar is hard to find in my neck of the woods, unless I want to go a long way to the specialty grocery and pay out the nose for a small quantity. It works just great. How would you go about converting the metric measurements into American measurements? It doesn’t come out exactly when I use the converters online. Oh no that’s a shame Emily! I have always used the converter at http://www.traditionaloven.com/conversions_of_measures/butter_converter.html without any trouble. I have noticed a huge portion of my readers are now US-based so I am going to start listing amounts in grams too to make it easier. In the USA, it is called Confectioners’ sugar. The most common manufacturer is Domino. It is readily available in the baking aisle of virtually every grocery store. No, confectioners sugar is NOT castor sugar. Confectioners sugar is powdered sugar, commonly used to make frosting. Castor sugar is much more finely ground. Run regular sugar through the blender to get some. If you make this cake a day ahead, will it keep refridgerated for 24 hours? Hi Lindsay, yes it definitely will. Just make sure you store it in an air-tight container! I am having trouble with the icing. 4-5 cups of icing sugar and one stick of butter does not seem quite right. Please help! Hi Kristin, did you add in the cream cheese too? If your icing too runny or too thick? Would the cake turn out the same if I used a shamrock shaped pan? This would look AMAZING in a shamrock shaped pan! Depending on the size of the pan, you may need to adjust the cook time accordingly. What is bicarbonate of soda? Do you have the US conversions available now? Hi! This cake looks delicious and I’d like to try it out this weekend, but do you think it would work as a cupcake with a reduced baking time? Has anyone tried this? I’d appreciate any feedback. Cheers! Hi Anto, it definitely would work in cupcake form. I would check them from the 20/30 minute though just to ensure they don’t overcook! How did the cupcakes turn out? Could you add a can of cherry pie filling in between the layers. love how rich the cake looks! yummo! Line just the bottom of the pan or the entire pan? Grease and flour the pan – means to spread a thin layer of solid shortening on the inside surface of the pan, then sprinkle a spoonful or so of flour onto the shortening and shake it around the pan to coat both bottom and sides, tapping with your hand and dumping out any excess flour. You may use cocoa powder instead of flour for a chocolate cake. Lining the pan – means to use parchment or wax coated paper cut into the shape of the bottom of the pan in the bottom of the pan then pour in the batter. You can both grease and flour, and line the pan in the same recipe. Once the cake is cooled, invert (removing from pan) and peel off the paper carefully so as not to tear the cake. Thanks for outlining this, Diane! So going to make this for the manfriend’s birthday! Do you think Godiva White Chocolate Liqueur would work as a sub for Irish Baileys Cream? I think it sounds heavenly Becca! Is it really 1 TBSP vanilla extract? And at what point to you add it (recipe doesn’t say)? It really is 1 tablespoon! It’s a very strongly and deeply flavoured cake and it works well. I have updated the recipe now, add the vanilla in with the sour cream. Thanks for the heads up! Love it! Hubby isn’t a huge sweets fan, so I halved the recipe (only baked it for 35 mins) & it was perfect-enough to satisfy my need for him to have a birthday cake, & not a ton of leftovers. I dumped all of the ingredients together at once, it worked, just in case someone else fails to read the directions before starting.. Thanks for sharing this recipe. I made this today for my husband’s birthday and it turned out amazing! I substituted Greek yoghurt for sour cream and reduced the sugar to 1-1/4 cups. I made just half the icing and it was enough to generously cover the cake. My husband loved it! I can’t wait to try this out. Is that pure icing sugar or will icing mixture work? Preheat oven 350°F and butter and line a 9″ spring form pan. Whisk in the flour and baking soda until combined. That all looks good except for the butter measurement in the cake – I believe 1 stick of butter = 113 grams. So I would use just over 2 sticks of butter to make the 250g of butter required. Does the butter need to be upped in her ingredient list for the icing too? I was thinking it was more like 7 tbsp, or just shy of a stick of butter for that. Please let me know if I’m wrong, making this for my sister’s birthday! Hi Maggie, you are correct – just shy of a stick of butter for the icing too! I have made this twice in a week, measurements and recipe all good to understand….first time made a round cake, second time made 10 individual cakes…..either way just DIVINE!!!!!!!!!!!!! Can I please get the dry ingredients by weight? I’m a stickler for consistency, and I’ve found that measuring dry ingredients like flour and sugar (especially powdered/icing sugar) by volume is inconsistent. Hi Spencer, I have now updated the recipe with dry ingredients in weight! I don’t understand the need for a conversion chart. My kitchen scale & measuring implements all show metric units as well as US measures. Using the displayed metric units & following the recipe as written is much easier than converting. Hello. Do you think this cake could be frozen for a week or two if it was wrapped up tightly? (un-iced, of course!). Nice recipe and very tasty. I baked at 355, and it was done in way under an hour. I took it out at about 50 minutes, and it could have come out even a touch sooner. I am blown away by this cake. Easy, crazy good flavour, super moist. I love it! What size pan was used? It looks awesome and my daughter says I need to make it for Thanksgiving this coming week. Disregard my question, in reading the comments I found the size, 9 inch. Can’t wait to taste it. Yum! I hope you enjoyed it Connie! Making this for one of the Thanksgiving desserts. This recipe has my family written all over it! Can’t wait to serve it. I Made these for ourfamily Thanksgiving party, they were so delicious that even the kids devoured them! I read all comments on the cake recipe, before asking my question. And glad I did, it answered all my questions. I’m going to make for Christmas dessert! Thanks! Thanks Maggie and I hope it’s a great success! Would this recipe work for a bundt cake pan? Hi Jenny, yes it would, just make sure to properly grease the bundt cake pan as they have a tendency to stick! I’m in the US and I’m stuck on the icing sugar, is that powdered sugar that we typically use for icing or is it superfine granulated sugar or also known as table sugar? I am guessing it is powdered sugar but . . . I cannot wait to make this tomorrow, but I was wondering what changes ( if any ) I need to make this into cupcakes? I noticed in another comment that the cake will keep if baked the night before. But just to clarify, can the cake be baked and iced and kept in the fridge overnight or do you recommend that the icing be made and applied right before serving? Looking forward to trying the recipe! I am assuming unsalted butter? This looks amazing. I’m planning on making this for a work party, so I was thinking cupcakes (24). Good idea? If so, suggestions on time and temperature? I have a convection oven, but can do conventional as well. Thanks! Question: I scrolled through the comments first but didn’t see anyone else asking….. can this ‘cake’ possibly be done as cupcakes??? either to use chocolate coating on tin sides or place in foil cups or paper cups?? Just wondering if for people with less time, could a cake mix be used, putting some Guinness into the batter? Then frosting with the Bailey’s frosting you use? That’s a great idea Jill, perhaps instead of adding the liquid component to the cake mix (I assume it’s normally milk?) try adding the Guinness instead. Please let me know how it works out! Do you use the bottle or the can with the nitrogen widget? Hi William, I used the can, but the bottle should be fine too! Thanks for the recipe. I will definitely be making this this weekend. I have a bottle of Chocolate Cherry Baileys Irish Creme that I think will be absolutely incredible for the frosting. 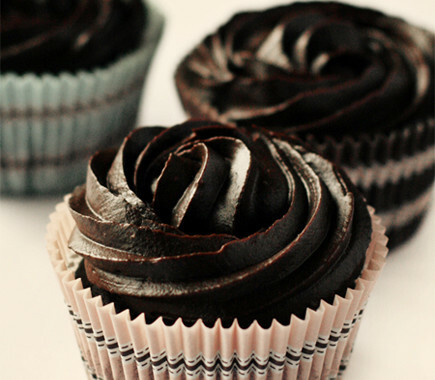 Ever tried this recipes as cupcakes? SO happy I can make as cupcakes! Thou, this may be improper…but is there so little booze in the cake and icing that kiddos can eat? Thoughts? There’s such a small amount of booze in it per serve it should be fine! Love the look of this recipe. Very excited to try it & I’m from Ireland! One question – how long does this cake last? Can you make it 2-3 days in advance or is it more like 5-6? Hello Aoife! You can keep this cake in an air tight container for up to 5 days if stored in a cool, dry place. It does taste better if eaten within 3 days though! Hi! This cake looks amazing, and I really do want to try it! Just one thing: Is there any substitute for the cream cheese? My husband and I aren’t really huge fans of cream cheese to begin with. Is there any possible way of using vanilla icing mixed with Bailey’s? Any input would be greatly appreciated. Thanks! I really can’t wait to try this out. Hi there, you could definitely substitute it for Baileys Buttercream! Bump the butter up to 200g (that’s about 2 sticks of butter), omit the cream cheese then cream together butter, powdered sugar and Bailey’s until thick and spreadable. Sounds delicious! Thanks so much, will definitely be doing that! I also read in the comments about a suggestion for using cake mix, and you seemed to agree that was another method. I’m completely new to baking, and I really don’t want a failed first attempt! So, I may do that. I LOVE chocolate Guinness cake! I usually use a recipe by Nigella Lawson but I am definitely giving this a go for St Paddy’s day. 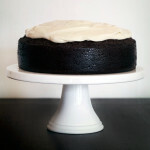 Baked the Dark Chocolate Guinness cake today, and it is a moist, rich, delicious cake! My husband sent me the recipe, so I took the hint. I was wondering, would it be possible to use cake flour instead of regular flour? If so, would there be any changes in measurements? P.S. I absolute love your website and recipes! They’ve always come out amazing!! Is the butter salted or unsalted? I generally use salted butter in chocolate recipes as I like the flavour, although traditionally unsalted butter is used in most baking recipes. Your choice! I only needed to bake this at 350 for 40 minutes so be careful with cooking times! If I had left it in for an hour, I’m sure it would have been very dry and possibly even burnt on the edges. I am in California and did the whole hour. It was dry. Very dry. I’m making it again and will be doing 40 minutes and checking it. I should have followed my nose last time. I can usually tell by smell when something is done but I was like, “It said an hour.” Everyone still ate and loved it though. Great recipe!! This cake is the bomb!!!!!! My birthday was yesterday and my mom is making this for my birthday dinner tomorrow. I’m super excited! I can’t believe how grumpy some of these replies are. If you can’t figure it out people, then don’t bother. I am looking forward to trying it. Thanks for posting. OMG just posted about the grumpy people too, lighten up everyone and be a little more resourceful!! If I can make this cake anyone should be able to because I am not good with anything in the kitchen. Ask my husband. I made this cake and now cannot stop making it because my husband loves it so much… so do I. The best cake I have EVER had. Really, really amazing. I am making two right now for my husband’s birthday/Halloween party. The only difference is I am going to do the swirel/spider web on the top and write Happy Birthday on the froth-looking top. Thank you so much for this recipe! For me the secret is following the recipe exactly and using a stationary mixer. I could not accomplish it without the mixer and it’s tools. Thanks so much for your kind words Debbie, and I am glad you and your husband love this cake as much as me! Enjoy!! Have to agree. I was very happy to see measurements and ingredients I am used to in the UK instead of having to check how much a cup is and what a certain thing is. Then the bellyaching about oven temps etc. This lady put up a very nice recipe for others to enjoy so just enjoy it. If you need to know cup measurements or what caster sugar is GOOGLE them for crying out loud. PS very nice cake! I’m American and I TOTALLY agree with you! And I wish people would read comments before asking a question! Anyway, I can’t wait to make this! Thank you!!! hi..its a delicious recipe. How many minutes v to preheat the oven?? I want this cake to have my children. Could I split this into two cake pans to make a layer cake? How high of a cake does it make in a springform pan? I found an Irish Whiskey chocolate ganache to make an Irish Car Bomb cake. Hi Anthony, yes you can definitely split this in two cake pans to make a layer cake. Once cooked the cake rises to about 2-3 inches in height in the springform pan. That ganache sounds like heaven! Do you know if it freezes well? 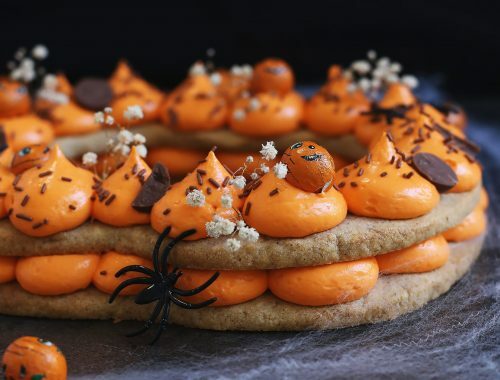 I’m dying to make this, but I will eat it all if I can’t freeze some of it (or take it to a party, but not sure I have to patience to wait for a party to make it)! It looks absolutely delicious. I made this cake this evening and it was awesome! I assumed the measurements in parenthesis were American so that’s what I used. The only thing I will change next time is the cooking time, probably do 50-55 minutes. I use 3/4 the sugar and Hershey’s dark chocolate cocoa powder. They are perfectly done at 15 minutes (rotating the pans at the 10 minute mark). Like most cupcakes, these rise a bit, so make sure to only fill the cups about 3/4 of the way full. I also only make half the frosting recipe and use half the amount of powdered sugar stated. I made this cake, well the cake itself was perfect, the icing was rather runny, is it supposed to be like this, or more firm. Can this cake be made in regular cake pans? if so any idea how long it would need to be in the oven for? What do you mean by regular cake pans? I made this cake last night but it seems to take more than 30 minutes …about 50-55min and then after letting it sit overnight before icing it…the cake seems like it came out dense. Any suggestions on what i did wrong? I’m not sure where you are getting 30 minutes for, the cake should take around an hour to cook as stated in the recipe. If the cake came out dense it is possible you overmixed the batter? Thanks Joy, what a useful website! This looks incredible and I’ll be giving it a go this weekend or on Monday. On top of St. Patrick’s Day next week, it’s also my husband’s birthday and this is right up his alley! I will have to do it GF and trying it out with a GF baking flour mix (probably Pamela’s of Bob’s Mill brand depending on what I have). Also will be making a chocolate ganache and layering the cake with the ganache in between the 2 cake layers. Fingers crossed that it turns out as good as I’m imagining it! That sounds DIVINE Lauri, good luck and let me know how it goes! Made this for a very happy hubby last night! It was his birthday and I know the way to his heart includes a Guinness:?) The only modification I made was a dash of slat to offset the sweetness:?) I WILL be making this again. Thank you so much! I will be making three of these cakes this weekend, for a St. Patrick’s day party, a birthday and one for St. Patrick’s day. Can’t wait to try it! I’ve made this three or four times now, back before there were the helpful measurement conversions. Mine always came out a little dry, so the last time I made it, I made a double layer cake with the icing in the middle as well. My coworkers always ask me to bring in the icing to dip animal crackers in for a snack, so I’ll be making that again for them this St. Patrick’s day. Great recipe, thanks for posting! I’m so glad I came across it two years ago, it’s excellent! You are so very welcome! I made it once and slightly overcooked it, that’s the only time it was dry for me. However I am hoping the measurement conversions have cleared it all up for you! I made these as cupcakes with some shamrock-shaped sprinkles for a pre-parade party. They turned out delicious! The icing part of the recipe really does make a lot. I’m not sure what to do with all the extra. You could probably make half as much icing, or maybe 2/3 much, and still have plenty. I must admit it makes a VERY generous serve of icing. I am glad you enjoyed the cupcakes! This was our first time trying the cake. We baked it last night, and at 55min, we noticed the cake had a small split in the middle. It looked done so we took it out 5min early. The cake ended up sinking in the middle. It’s for a St. Patty’s Day party today, so all I can think to do is fill it with frosting (haven’t made it yet). My question is, why did it split, or sink? It didn’t seem wet in the middle, and I didn’t take it out of the pan so I’m not sure what happened. Only thing I can think of is I couldn’t find castor sugar and didn’t read the comments so I just used granulated sugar. I also didn’t line the pan, just greased it. Would either of those things have caused it?? There are a few possible reasons – for a cake to split, the oven could be too hot or cake placed too high in oven. And as for sinking, it was possible the middle was slightly undercooked still. This has happened to me a few times with other cake recipes, and fortunately frosting covers all!! Would this cake work in a 8″ x 3″ springform pan & how long would you cook it? Wow, this was sooo spectacular. Add a pinch of coffee – cuts the sweetness a little. That’s an excellent idea Pauline! This was the only thing I made to celebrate St. Patrick’s Day. A good choice, indeed. Thanks for the lovely recipe!! This was so good! We literally ate the frosting out of the bowl. Yummy. Thanks for the recipe. Haha I do that too, I LOVE this frosting! Wow ! This cake is delicious – super moist & rich chocolate flavor ! It was a huge hit at the party ! Mine did sink a little bit in the middle but not a problem, i just filled it with frosting. I was surprised to find Domino Superfine sugar in my US grocery store too. The frosting made way too much so I paired it with some Guinness Chocolate chip cookies i had made & again, that was a hit at the party ! I will definitely make this cake again, just cut the frosting recipe in half. Thank you ! This cake is insanely delicious and easy to make! Thank you so much for the recipe! I followed the recipe as written and it came out perfect. My coworkers raved about the frosting. It pairs wonderfully with the chocolate cake. Word of warning: this cake is rich! I made this for St.Patricks Day and it was amazing! The icing complimented the cake perfectly! I am lousy at baking and I have made this twice now, with it turning out perfect both times. Just served it in my office for St Patrick’s Day, and it disappeared in seconds flat! I’ve emailed the link to half the office, as everyone wants to try it for themselves. Foolproof and absolutely delicious! Glad you liked it Fanny, I am sure you’re very popular in the office! I can’t believe all the Americans in the comments who were absolutely bitching about the lack of imperial measurements. The author is AUS based not US. She was extremely generous to convert this recipe for you. Doing a job for you that Google could have easily done. My god. Such rudeness. Please clarify when you mention for the icing to “cream the butter with the icing sugar” . I already used the butter and melted it in with the Guinness. Do I need more? I am in the middle of baking it now. Thanks! That’s a shame Lisa! It sounds like you didn’t whisk the flour properly into the batter, and perhaps slightly overcooked it. A friend and I made this for our birthdays. It was fun to make and turned out beautifully. We divided it into two pans and sliced the layers into a 4-layer cake. We made it the night before and froze it because the afternoon party would be warm. Our guests said it was the best cake they ever ate and came back for seconds and thirds. At a friend’s request I made this cake for her for her birthday this past weekend, and I just wanted to say thank you for an absolutely *outstanding* recipe. This one is going in the family favorites from now on. It’s done dire things to my relationship with My Fitness Pal this week…but I dare say it was worth it. Thanks for your lovely feedback Emily, so glad you liked it!! And now it’s my birthday in a couple weeks, and having an excuse to make this cake again is what I’m most looking forward to. Can’t wait. Thank you, again, for my new favorite cake. You are so welcome Emily! And happy birthday for a few weeks! 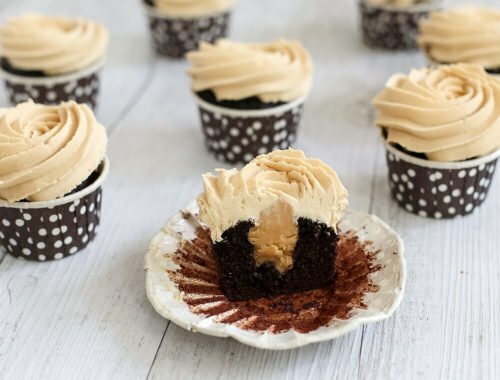 Could these be made in cupcake form? I made this cake for St. Patrick’s day and it was AWESOME! The best cake I’ve ever made. I used a small scoop to put the frosting on top and it looked like pillows of frosting. I’m making this again for our annual mom’s weekend away. Would this cause inebriation at all? I am debating making this for a situation where a child would eat it, but would make another cake if the alcohol doesn’t all cook out. Thanks! I think a child could handle a slice of this, the beer should cook out in the cake but perhaps consider using less Baileys in the icing? Or make them a different icing? This was the best and easiest cake I’ve ever made. Rarely do my cakes turn out just like the photo but this one did! It’s all over my facebook :) The only thing I did differently was use a 9″ cake pan instead of a spring form pan (which I could not find in my cabinets). I greased and lined the cake pan and was worried but it turned out beautifully without sticking. I may have piled on too much frosting but no one complained. This is a rich cake! And is now a favorite. Do you think I would need to keep it in the fridge if I am making for tomorrow? Or can I leave it out on the countertop overnight? This looks absolutely divine! Will be saving this one for when I’m not pregnant. For the butter in the cake mix is the extra tbsp of butter for cake mix or greasing the pan. I am doing cupcakes instead. I was wondering if you could freeze this cake? Hi Tara, yes you can definitely freeze this cake for several months! Just make sure you only freeze the cake, not the icing too. I made this super delicious and super easy cake in a bunt pan for my husbands birthday. I made no changes to the recipe otherwise. It took about 40 mins in a 350 Celsius oven. This will go on my make again list! So glad you enjoyed it Joann! Hi! Firstly, thank you very much for noting the measurement conversions, that was very kind of you! Okay so I just put the cake in the oven only to realize that I used the cream cheese in the cake instead of the sour cream!! nooooo! Do you think it will still turn out? It’s for a surprise anniversary for some friends tonight! Will the baking time change too, do you think?? Thanks so much! I didn’t see this in comments, but is the cocoa powder unsweetened/natural or Dutch processed? I’m guessing it’s natural. SWAH – this cake is amazing. I made it for co-workers and they DEVOURED it. I’ll need to make another one tonight for my husband. I will reduce the oven temp to 325 as my pan was dark-colored and the outside was a bit dryer than I would like. So glad you loved it Liz! You had me at “Guinness”! It sounded so intriguing! I threw caution to the wind and used regular sugar, and being an American I’ve never weighed ingredients to bake, but loved the idea of it! I had a scale! The scariest part was trusting the “bake for 1 hour”. No other clues to check when it was done. Mine rose up in the pan and cracked. I let it cool and felt my heart sink as the center sunk – kind of a baseball size depression. Felt firm, though. I let it sit out overnight in the tin to cool – didn’t think to cover it. I was afraid to cut the frosting amount in half. Looks like enough for three cakes! But the texture of the final frosting was so light and creamy and airy. Almost like whipped cream. I tinted it a light green. This is a very dense cake and very moist. Mine was perfect – although could be a bit dry on the outer edge from letting it sit overnight before frosting it. The center was fully cooked and was declared the best cake he ever had by my husband who isn’t fond of cake that is too sugary or chocolatey. Fantastic cake, I will look no further for such a wonderful Guinness chocolate cake! Thank you! Ok! Just amde this cake (with more Baileys than recommended in the frosting) and WON the bakeoff with it! Thanks for a delicious winner! Hi there!! I made this cake for my husband’s birthday last year, and it was a huge hit!! I was just wondering if you think this cake is safe for kids to eat? I would take out the Bailey’s from the icing, but the cake itself – would you say it safe for kids? Or can you recommend a non-alcoholic version that would yield the same consistency? The cake is super moist and chocolatey, soooo good!! Thanks for any info and tips!! Hi there, yes definitely take the Bailey’s out of the icing, but as for the cake, unfortunately alcohol doesn’t entirely cook out of baked goods. I *think* it should be fine to give a small slice to kids, but to be on the safe side perhaps could replace the stout with an equal volume of coffee or chocolate milk to maintain the moisture and flavour? This cake looked so good when I was looking for a dessert to serve friends tonight. I’m pairing it with a port wine. They’re coming over to (of all things!) help me with my blog ;-) So glad I came across your blog! Oh yum, sounds perfect with port wine. Enjoy!! 1) I can pick up the after taste of the bicarb, if I reduced the quantity from 2.5 tsp to 2 tsps. (or even 1.5 tsp) how would that affect the end result of the cake. 2) I’m thinking of a variation by adding orange zest in the cake mix, how would that affect the end result of the cake? Hi Kenny! If you reduce the bicarb the cake will rise slightly less, meaning it will be denser. Which to be honest, isn’t a bad thing when it comes to this cake, as it is very rich. I love the idea of adding orange zest to the batter, that shouldn’t affect the end result of the cake – merely add a beautiful flavour. Let me know how you go! Thank you so much for this recipe. At a forty something man this was my first ever attempt at baking from scratch. I made it for a Christmas bake off at work and had the icing “running” over the sides like cream on a Christmas pudding. I decorated the top with icing holly leaves and glacier cherries. It went dow n an absolute storm and I won! Definitely one to come back to. Thank you! Oh wow Chris, congratulations!! I love your spin on the cake to make it into a Christmas pudding, such a great idea! I am making this cake right now! Trying out the recipe before St. Patty’s Day. However, I don’t have any plain Bailey’s in the house so I am trying the frosting with Cherry Cordial flavored Bailey’s. 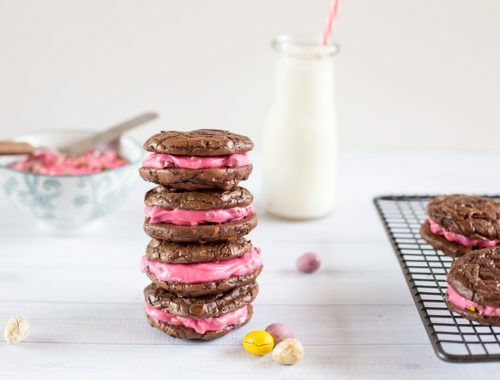 This looked so good you have me baking (which I don’t do unless it comes from a box)! I love this cake! I made it last year for St. Patrick’s Day. This year I was going to make cupcakes for work but am unsure of how long to bake them. Have you ever made cupcake version? How long would you bake them? Thank you so much for this recipe!! I made it last St. Patrick’s Day and again this year. It is so delicious!! The frosting is to die for. I plan to make this every year!!! I’m at 3000 ft elevation. Any changes you would recommend? I’ve made it several times at sea level. Awesome!! This cake will change your life (or at least the way you make ANY chocolate cake). I mean it. Although I altered it to reflect Nigella Lawson’s Chocolate Guinness Cake (one stick LESS of butter, but 3/4 of a cup of unsweetened cocoa = less butter + more chocolate), I did use Swah’s icing recipe as is (w/ a little extra Bailey’s). I baked it at 350 degrees for 45 minutes in a springform pan, and it is the creamiest, most moist and decadent chocolate cake I think I’ve ever tasted. And the icing…no words. In fact, it was so good, I just made a second one for my husband to take to work tomorrow. Thanks for sharing, Swah! I don’t think I will ever make a chocolate cake without Guinness or a Chocolate Stout. Thanks so much for your kind comment Lisa! It is definitely my favourite cake, ever!! Hello, Thank you so much for this recipe!! I made it last St. Patrick’s Day and again this year. It is so delicious!! The frosting is to die for. I plan to make this every year!! !